Fourteen hour flights can be quite challenging. Faced with the prospect of enduring one such torture during my hop from the JFK international airport, NY to the Dubai airport I tried to prepare as best as I could. I did not sleep much prior to the flight, bought a book (A Million Little Pieces) and decided to lighten myself of some bodily fluids being coaxed out as they were by some good beer that I was gulping down to kill time. Now, I had a good time in the toilets of JFK! 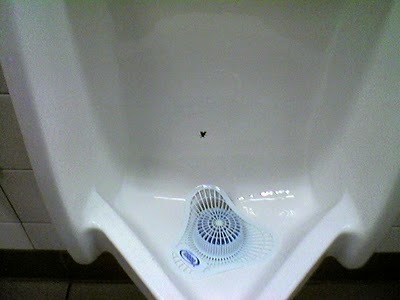 At first I thought I had been incredibly lucky to have been graced by a house fly in the pit of the toilet bowl that I’d chosen. But I had the presence of mind to quickly lean towards my right and peep in the pit of the urinal bowl next to mine. There was a fly there as well! So ignoring the other fly of metal, I stepped back and realised that all gleaming pits of white porcelain had flies sitting in them! What do they eat/drink around here, I thought! I peered into the pot – not quite deep though – to realise that these were stickers of flies! Aha! They looked very real though. So, in this age of financial prudence, I think these innovations play on man’s primordial male instinct best demonstrated by a ceremonial territorial marking ritual accompanied by an emphatic subjugation of any encroachers. Modern male travellers are expected to give in to their natural calls and try to kill the fly when they go about doing their business. This adroit chaperoning of jets (we’re at the airport, you see!) must be delivering twin benefits – A) it keeps the fun centered in or around the intended target thereby minimising the chances of a spillover and B) replacing a worn out sticker of a fly would be cheaper than replaced rapidly eroding cakes of disinfectants and sanitizers. 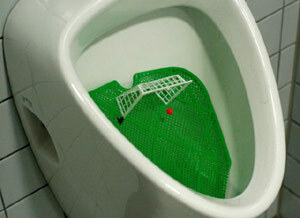 The soccer inspired toilet design on the right also achieves this goal. I am sure each and every one of my male readers would have experienced and participated in the “avoidance process of natural selection”. But I do have some lady audience and this might interest them as I now talk about some behind the doors stereotypes. The psychology of independence, dear ladies, and a need for marking out a personal territory distinguishes men and is quite well documented in various websites on the internet. 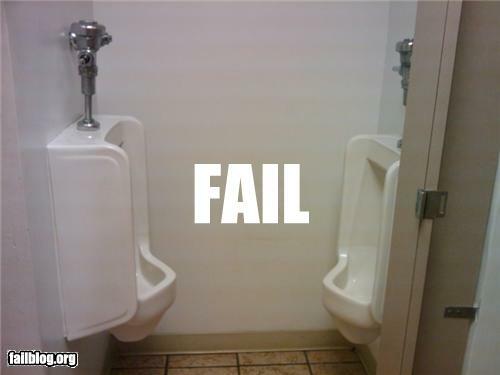 If a man comes in to an empty bank of urinals, he will usually choose the one on the extreme end. the next one will pick up the one on the other extreme followed by a middle one getting picked up last. This is not how most men behave when making investing decisions. 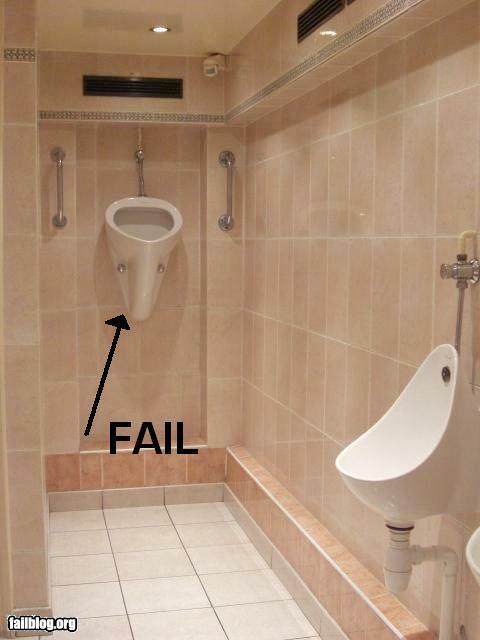 If you stumble on a urinal along with a Warren Buffett or a Peter Lynch or RJ, I guess its ok to break this rule, but mostly the herding instinct lives itself out in the outside world. Many years ago I used to work in downtown Mumbai and take local trains to get back to my home in the suburbs. If some day I left early (Dalal Street closes at 3:30PM), i’d invariably come across a gentleman, chewing on chikki and calling up every contact in his phone address book to verfiy the creddentials of a hot tip that he’d received! The need to build consensus before investing/trading is rampant. Contrarian investing can offer a good edge over conventional consensus based investing. Is today the right time for a contrarian approach? No idea – local Indian markets certainly do not look like that. But the US perhaps, yes. The approach surely works since one operates on assets that are mispriced – both too high and too low. And the good thing is that it lowers the risk in case the investment logic turns out to be wrong. 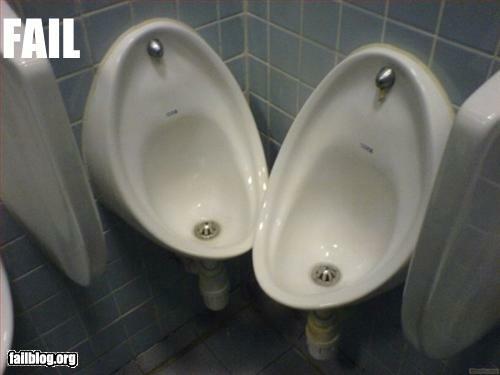 The second investing lesson which urinals can teach us concerns special situations – mergers, acquisitions, covertible debentures, buy backs, turnarounds, etc. Not many understand, but there is a very high liklihood of discovering money being left on the table in such cases. There are quite a few special situation mutual funds available for purchase in the Indian marketplace currently. Buffett did special situations investing a lot – easy pickings really, if you understood the math and risks involved. Special situations are highly probabilistic and it’s difficult striking a home run consistently. They end up failing many times – at least for me. South Indian Bank forever remains an attractive takeover target. IFCI’s obtaining of a banking license remains in limbo. Some people talked up the story of PNB Gilts folding up into it’s parent but nothing happened. I feel it’s best to leave special situations to experts. 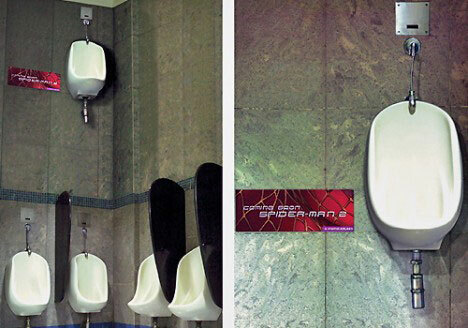 For example, the toilet on the third picture below – built for Spiderman perhaps? The first two seem to be customised for Zohan Dvir and Borat Sagdiyev? Following are some examples of special situations. Trust that you will be able to spot, mergers, turnarounds, etc.